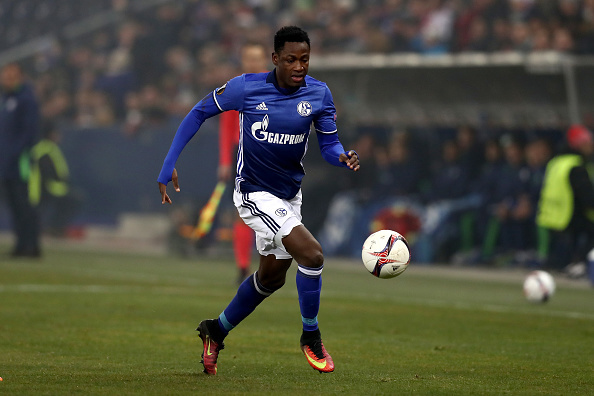 Ghana international Baba Rahman has joined Bundesliga side FC Schalke from Chelsea on loan until the end of the 2018/19 season, the club announced on Monday. The 23-year-old defender joined the Premier League side from Bundesliga’s Augsburg in the summer of 2015 on a five-year deal. He made 23 appearances during his first season with the Blues. He then moved to Schalke on a season-long loan, but his loan spell with the Bundesliga outfits was cut short after he ruptured his ACL at the 2017 Africa Cup of Nations with Ghana. During the first half of last season, Rahman made 13 appearances with Schalke as they finished in 10th place. The Ghanaian defender, who hasn’t played since his injury in January 2017, rejoins Schalke for the next 18 months. They currently sit fourth on the league table with 34 points after 20 games.